Tandem Arbor, LLC will use the information you provide to be in touch with you and to provide updates and marketing. You can change your mind at any time by clicking the unsubscribe link in the footer of any email you receive from us, or by contacting us at donotreply@tandemarbor.com. For more information about our privacy practices please visit our website. By clicking submit, you agree that we may process your information in accordance with these terms. CHOOSE YOUR SILHOUETTE. SELECT YOUR SIZE. PICK YOUR DEPTH. CUSTOMIZE UPHOLSTERY. COMPLIMENTARY DELIVERY. Designed for comfort, the Leroy Sofa harnesses the best of traditional sofa features in a silhouette that works for today’s interiors. Ideal for relaxed family lifestyles, it is divided by casual and cozy loose back cushions. Turned wooden feet and roll arms echo its pleasantly rounded profile. 5' and 6' length sofas have two (2) seat cushions and two (2) loose back cushions. 7', 8' and 9' length sofas have three (3) seat cushions and three (3) loose back cushions. 10' length sofas have four (4) seat cushions and four (4) loose back cushions. Each piece is custom made to order by local craftsman in North Carolina using high quality, naturally based materials. Frames are made from cross-directional engineered hardwood. Each frame has centered cross rails to reinforce the life of the furniture piece. All upholstery is hand-sewn onto the frame to ensure a perfect fit. 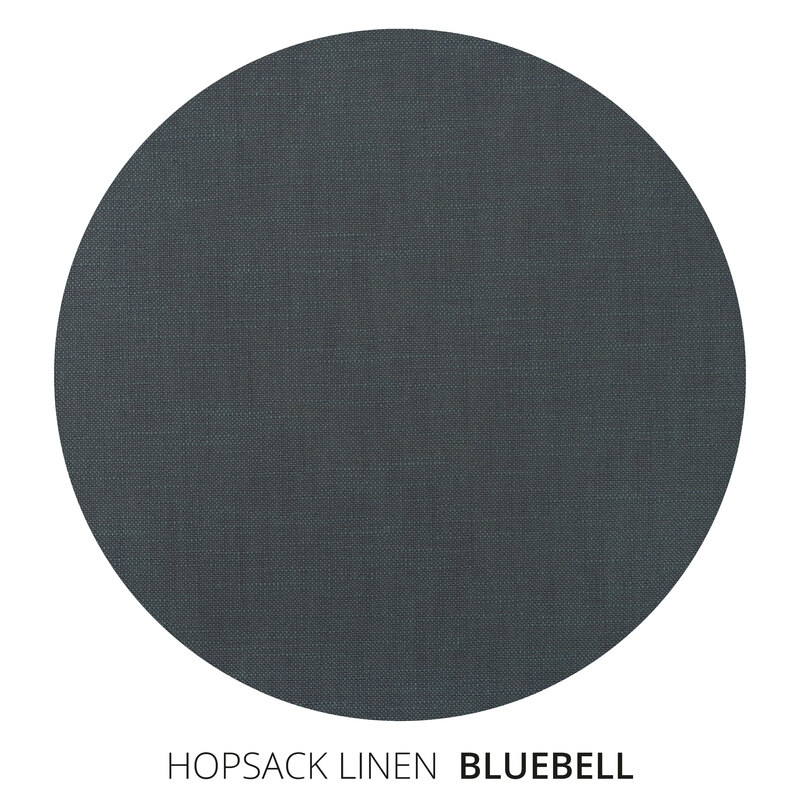 Hopsack Linen is a linen-like loose weave fabric that presents a variegated monochromatic color evoking the look of an informal hopsack fabric. Though casual in feel, this fabric is crisp in tailoring. This fabric features Crypton which is a performance technology built into every fiber to resists spills, stains and odors. Crypton Home Fabric is non-toxic, it is GREENGUARD™ Gold certified for sustainability, and it is milled in the USA. The seat is constructed with high gauge steel no-sag sinuous spring suspension system. Cushions feature a foam core with a feather wrap. Seat cushions are down fill with spring support. Please allow 6-8 weeks for production time.